In 1964, Chairman Mao sent out a decree that everyone – from the highest official to the lowliest peasant – should “Learn from Daqing”; this small frontier town in the frozen north-east (once known as Manchuria, bordering Mongolia and Russia) was the first Chinese oil-town. 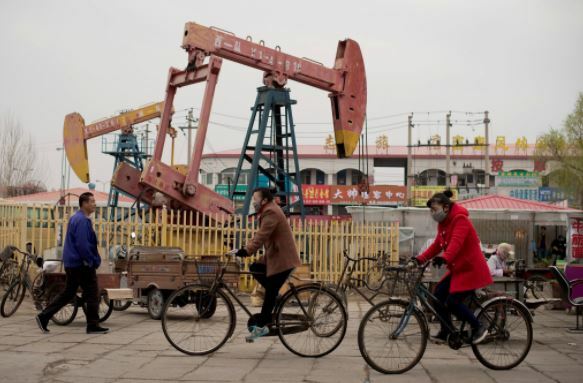 Through the ruthless extraction of oil resources, the campaign whipped up targets for ever-greater petrochemical extraction and soon the town became China’s largest oilfield. Fifty years later, Daqing was officially listed as an Eco-city; a smart, green, sustainable, environmentally-friendly metropolitan area. As the Chinese oil industry slows down, the city has radically transformed itself into what the Ministry of Foreign Affairs describes as “an emerging ecological, natural, modern, livable industrial city”. The city is still peppered with thousands of oil wells but is now prioritizing a “green oil field” strategy: including wetland recovery projects, controlling air pollution and restoring grassland. 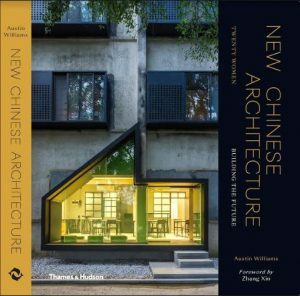 In my book “China’s Urban Revolution: Understanding China’s Eco-cities” [published on 19 October 2017], I point to many other examples, from Karamay in far-western Xinjiang Province to Tianjin or Caofeidian on the north-eastern seaboard. Many of these cities proclaim their eco-credentials in the face of criticisms that China is an environmental disaster waiting to happen. Indeed, the book looks at a slew of Eco-cities that make their wealth from oil extraction and polluting heavy industries which doesn’t fit the classic perception of an environmentally-sound urbanization plan. But when you think about it, the most well-known Eco-city at Masdar, Abu Dhabi is funded by the oil-rich industrial economy and situated alongside a vast international airport terminal. Masdar was an attempt to transform this Middle Eastern hydrocarbon-based economy into a knowledge-based one. Contemporary China is doing the same… and more. Faster, better, and on a grander scale. We all recognize China’s fantastical urban expansion since the early 1980s, growing from 17 percent urbanized to around 58 percent today. It has not been a simple process and the urban results are often not particularly pretty. The frantic rush to urbanize has meant that in the 40 years since 1978 when it had 193 cities, China has added another 465. 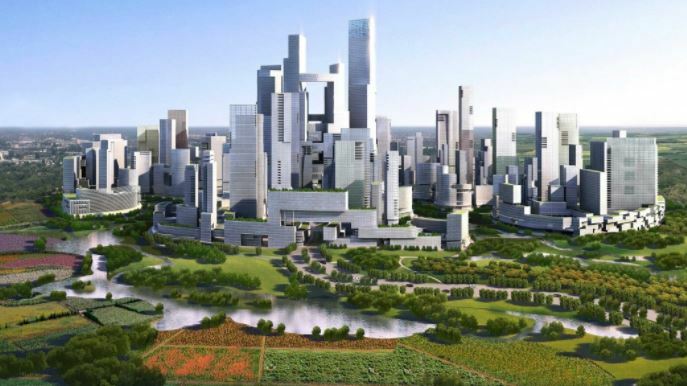 By 2025, China will have built fifteen new ‘supercities’ each with 25 million inhabitants not to mention giant urban corridors, regional powerhouses and 200 new “ordinary” cities. Speed, not quality was the issue leading Wade Shephard, author of Ghost Cities of China to pronounce that “the words ‘eco’ and ‘city’ combined together seems like an unabashed oxymoron”. But as many observers point out, China is compressing hundreds of years of Western-style development into a quarter of a century. 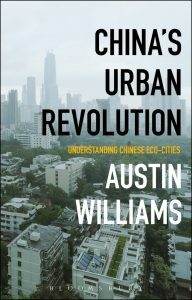 The early process of urbanization in China has not been dissimilar to the forging of industrial growth of Victorian Britain in the 19th century, with all the land grabs, enclosures, smog, and exploitation that went with it. Modernization in China tended to be shorthand for industrialization with scant regard for pollution and urban quality. But now, as affluence and expectations of a better life rise, fewer people are prepared to put up with poor standards. 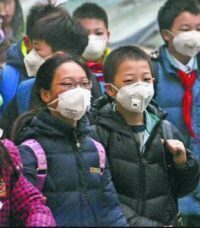 A survey carried out by China’s state news agency found that environmental protection is the number one concern of Chinese netizens. As China enters the world stage, it recognizes that its new cities must be better than the smoke-stacked, car-centric, carbon emission-centres of old. They must be fitted with state-of-the-art infrastructure, offer green space and leisure facilities, be conveniently located, and provide aspirational cultural provision. They should be clean, amenable, and ready for a huge influx of residents. Obviously, they haven’t achieved it yet, but it is making impressive inroads. So for those able to choose where to live, Eco-Cities offer better living standards, quality of life, good job opportunities and clean air. Residents around Wujiang Taihu Eco-city in Jiangsu Province, for example, were enthusiastically proud of the “eco” label with one resident saying: “The eco-city is a new revolution for China”. 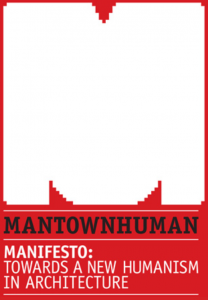 However, for others, it is simply the mere fact that urban development is happening, with or without an eco-label, with one worker noting that “this city will give us a better future”. Actually, “the environment” has long exercised the minds of the Chinese government. It was one of the first developing nations to introduce sustainable development on a national and regional policy level and it rewrote its Constitution way back in 1982 – five years before the Brundtland Report – pledging to “protect the environment and natural resources by controlling pollution and its societal impact, ensure the sensible use of natural resources, and safeguarding rare animals and plants”. 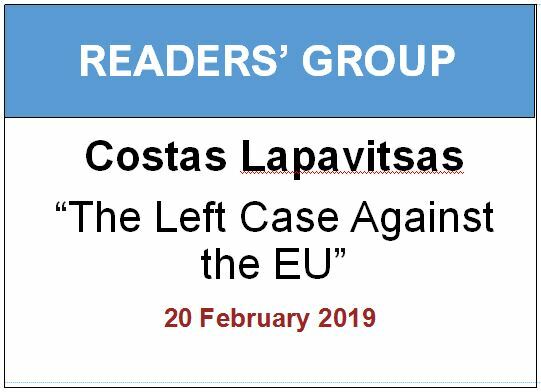 Admittedly, policy mandates, good intentions and practical reality are often very different things, but there is a head of steam in China today that recognises that they have reached something of a turning point in their development and that it is time to deal with the problems that have arisen in that period of growth. In the West, Eco-cities are supposed to save the planet; in China they are simply meant to provide a decent quality of urban environment. Whether we choose to believe the hype – there is little doubt that China’s Eco-city experiment is one that needs unpicking, understanding, and learning from. After all, in just 5 years, it claims to have engineered over 280 Eco-cities around the country. It sounds implausible, but it is hard to criticise given that there is no coherent definition of an Eco-city. But it is undoubtedly true that China is now a major provider of photovoltaics and wind turbines, a significant grid-scale battery bank manufacturer, and has invested massive amounts in biofuels, battery storage, electric vehicles and other cleantech industries. It has planted 70 billion trees since 1978 and is cleaning its rivers and skies. Western sustainability consultants beware, before too long, far from being an environmental liability, China may be confident enough to dominate the global environmental debate.